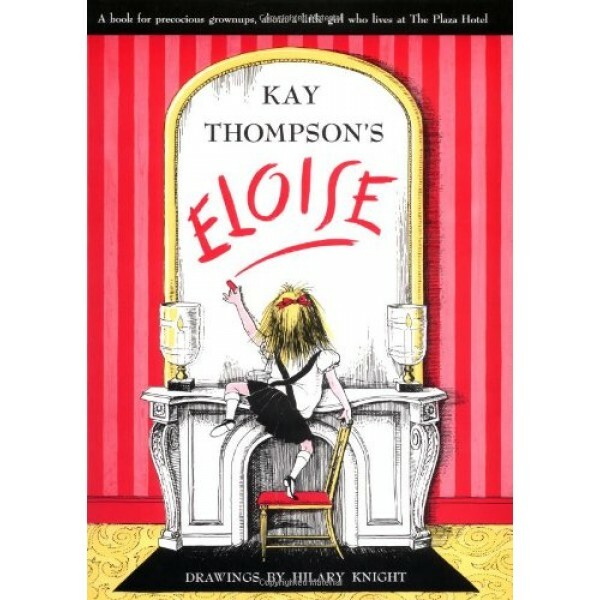 Eloise lives with her nanny at The Plaza Hotel in New York. The daughter of extremely rich parents, she is left daily to her own devices. She knows everything about The Plaza and everyone in it. Henry James would want to study her. Queen Victoria would recognize her as an Equal. The New York Jets would want to have her on their side. Lewis Carroll would love her (once he got over the initial shock). Her antics are hilarious, her characterization of those around her, perfect and whether you are about to fall in love with Eloise or you already adore her, you ought to have this book. "I am Eloise / I am six." 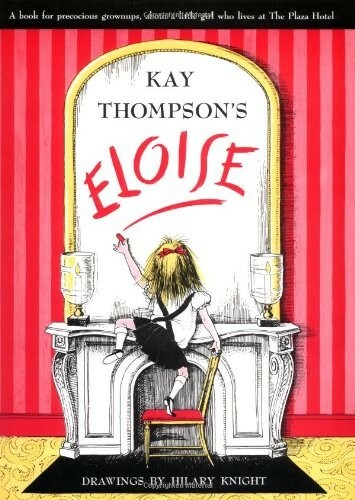 So begins the well-loved story of Eloise, the garrulous little girl who lives at New York's Plaza Hotel. Eyebrow raised defiantly, arm propped on one jutting hip, Eloise is a study in self-confidence. Eloise's personal mandate is "Getting bored is not allowed," so she fills her days to the brim with wild adventures and self-imposed responsibilities. An average Eloise afternoon includes braiding her pet turtle's ears, ordering "one roast-beef bone, one raisin and seven spoons" from room service, and devising innovative methods of torture for her guardians.